This book explores the development of the influential worldwide Hizmet movement inspired by the Turkish scholar Fethullah Gulen, known for his moderate Islamic emphasis on peaceful relations among diverse people. It provides a detailed study of Gulen's account of the virtues and argues that they provide the key to understanding this thinker and the movement he inspired, from its initial establishment of hospitality houses through the growth of worldwide schools, hospitals, media outlets, charitable associations and dialogue centers. The book analyzes the distinctive virtues that shaped the Hizmet movement's ethos as well as continue to sustain its expansive energy, from the core virtues of tolerance, hospitality, compassion and charity to a host of related virtues, including wisdom, humility, mildness, patience, mercy, integrity and hope. It also examines the Islamic and Sufi roots of Gulen's understanding of the virtues as well as presents a comparative study of Gulen's account of the virtues in dialogue with prominent thinkers of the Western philosophical tradition and the religious traditions of Christianity, Judaism and Buddhism. Illustrations note XV, 128 p.
This book explores the development of the influential worldwide Hizmet movement inspired by the Turkish scholar Fethullah Gülen, known for his moderate Islamic emphasis on peaceful relations among diverse people. 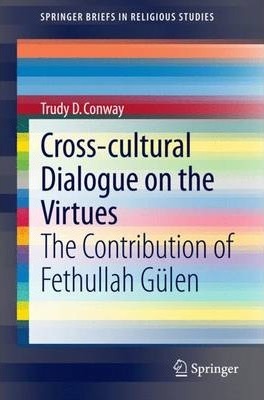 It provides a detailed study of Gülen's account of the virtues and argues that they provide the key to understanding this thinker and the movement he inspired, from its initial establishment of hospitality houses through the growth of worldwide schools, hospitals, media outlets, charitable associations and dialogue centers. The book analyzes the distinctive virtues that shaped the Hizmet movement's ethos as well as continue to sustain its expansive energy, from the core virtues of tolerance, hospitality, compassion and charity to a host of related virtues, including wisdom, humility, mildness, patience, mercy, integrity and hope. It also examines the Islamic and Sufi roots of Gülen's understanding of the virtues as well as presents a comparative study of Gülen's account of the virtues in dialogue with prominent thinkers of the Western philosophical tradition and the religious traditions of Christianity, Judaism and Buddhism. Chapter 1: Introductory Overview of the Hizmet Movement.- Chapter 2: The Importance of the Virtues in General and Hospitality in Particular.- Chapter 3: From Tolerance to Hospitality.-Chapter 4: The Virtue of Hospitality: Gulen's Understanding.- Chapter 5: Hospitality and Related Virtues: Gulen's Understanding.- Chapter 6: Education: Development of the Intellectual and Moral Virtues.- Chapter 7: Service to Humanity: The Virtues of Compassion and Charity.- Chapter 8: Love as the Ultimate Virtue: The Enduring Influence of Rumi. Trudy D. Conway received her Ph.D. in philosophy from Fordham University in 1981. After teaching at Shiraz University (formerly Pahlavi University) in Iran, she began teaching at Mount Saint Mary's University in Maryland where she is currently Professor of Philosophy. In addition to two other books Wittgenstein on Foundations (1989) and Where Justice and Mercy Meet (2013), she has published a range of scholarly articles on contemporary philosophy, the virtues and cross cultural understanding and dialogue. She has served as president of the Society for Philosophy in the Contemporary World and Delta Epsilon Sigma, held two endowed professorships, one sponsored by the National Endowment for the Humanities and received numerous teaching, social justice and service awards. She is active in a number of organizations promoting cross cultural understanding and social justice initiatives. She teaches undergraduate courses in the history of philosophy, contemporary philosophy, ethics and specialized courses on the virtues.